Hiking shoes have evolved quite a bit over the last decade and offshoot categories have been born. One such offshoot is what is called a ‘trail running’ shoe. Initially invented for runners who took to the trail, these shoes were lightweight without much support. 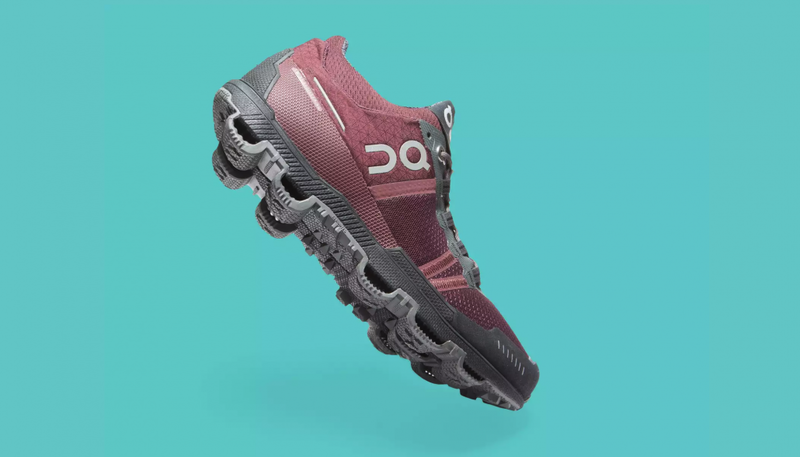 However, over the last few years, manufacturing technology has allowed these shoes to remain lightweight but improve their stability and support dramatically. Because of these improvements, modern trail running shoes are ideal for nordic hiking, having impressive traction, support and stability to handle the rugged trails, yet are lightweight allowing you to hike faster and farther. Mountain Trek owners, Hannah and Alex Timmons swear by their ON trail runners. In fact, if you see them at the lodge, they’ll most likely be wearing these shoes. They are incredibly light yet rugged and supportive. Swiss engineering at it’s finest (as far as a hiker is concerned, at least). REI is a great place to find equipment that has a minimum quality level. REI takes pride in the products they carry and it shows. See which shoes REI carries here: ‘Off-Trail Running Shoes‘. One thing to note on these shoes, however, is that they are usually low-top. If you feel like you need ankle protection, please look for a mid-top shoe. If you need any help picking a shoe for your next hiking adventure, email info@mountaintrek.com for advice.